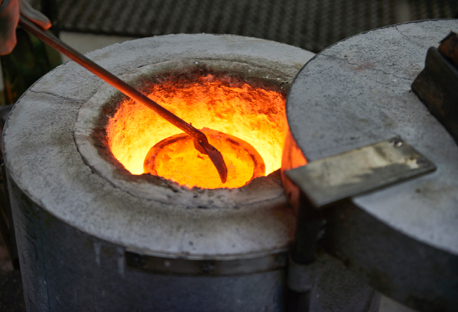 Since 1977, Borchert Associates has been recruiting exclusively in the foundry industry. Before becoming a recruiter, our owner and founder, Greg Borchert, worked as both a laborer and supervisor in a jobbing foundry. From this experience grew an understanding and appreciation of all facets of this diverse business. Our firm has an in-depth knowledge of the materials, processes, challenges, and workplace cultures in all of the different metalcasting specializations. For example, we understand that the ideal Maintenance Manager in a high-volume, unionized, automotive environment will be very different than the ideal Maintenance Manager in a jobbing cope-and-drag foundry. We recruit for high-alloy aerospace investment casting foundries and pit molding steel foundries and everything in between. We also have great insight into the personnel needs of our industry, and endeavor to advise our clients on the climate of the current job market and pay scale for any particular position. In this sense, our relationship is a strategic partnership: one that allows you to gain insight into the market from our unique perspective, and gives you an intermediary to handle all of the negotiations and various steps of the interview and hiring process.